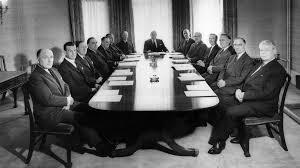 There are more men on corporate boards named John, Robert, William or James than there are women on boards altogether. That’s the headline of an article I just read, and it’s also, unfortunately, the truth. According to the EY Center for Board Matters, in the S&P 1500, women hold 15.5 percent of board seats. Men named John, Robert, William or James hold 15.9 percent. The other 68.6 percent are held by men with other names. It’s sad, but it does add some perspective. It’s not news that board diversity is extremely low. But essentially, if you’re a man bearing one of the four most common male names out there, it would seem you have a slightly better chance than a woman of obtaining a seat on a board. It kind of makes me wonder what are the most common female board members names? Think there are any Kellye’s on there? Spelling optional, of course. That might be illuminating, too.